We all love wearing a lipstick, don’t we? But, there are times when we mess up with the look while choosing a lip color according to our skin tone. Usually, people opt for a darker shade when going out for a party. 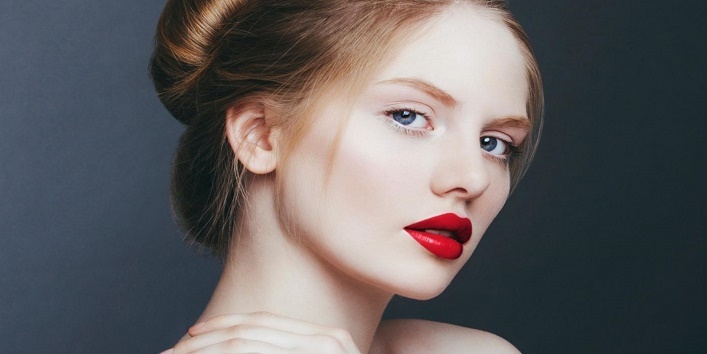 Still, there are a lot of things that one should keep in mind to wear the dark shade lipstick perfectly? 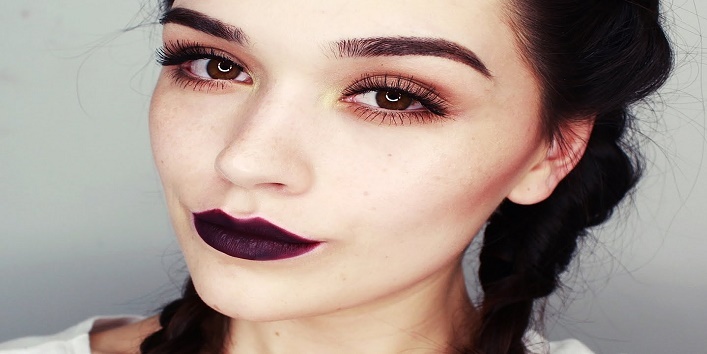 So, to help you guys, we have listed some tips to keep in mind while applying dark lipstick. Smooth out the surface first here basically means prime up your lips. 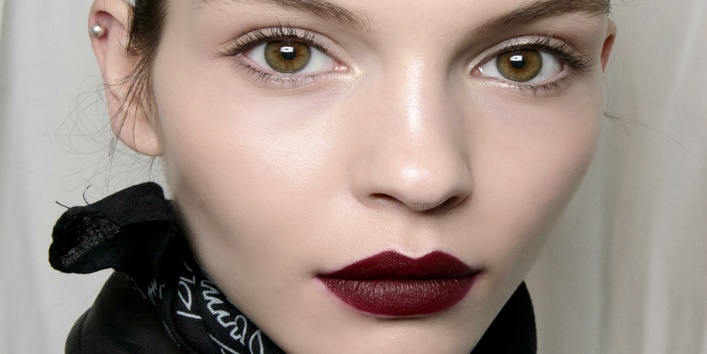 When you apply dark lipsticks, there are chances that it can make your lips patchy and dry. So, it is advised that you should work on your surface first. For this, you need to prepare a paste by mixing a teaspoon of honey with few drops of coconut oil, and 1 teaspoon of sugar. Now, apply this paste to your lips and rub gently for 5 minutes. Then, wash it off using cold water. While picking up the lipstick shade, always make sure that it suits your skin tone. Choosing a lip color which doesn’t suit your skin tone can ruin your entire look. Well, this is something which does not need an explanation. 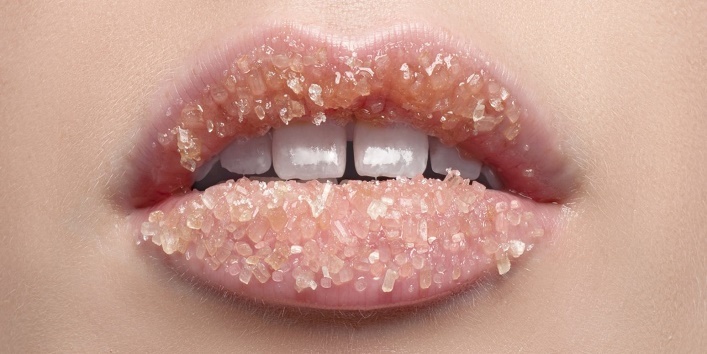 Before applying lip gloss or lipstick, always make sure that your lips are dry. You can also prep up your lips by applying a thin coat of balm and leave it on for a while till you are done with the rest of the makeup. Once you are done with rest of the makeup, you can wipe off the excess balm and apply the dark lipstick of your choice. Whether you are wearing a dark or a light shade lipstick, always make sure that you use a lip brush. 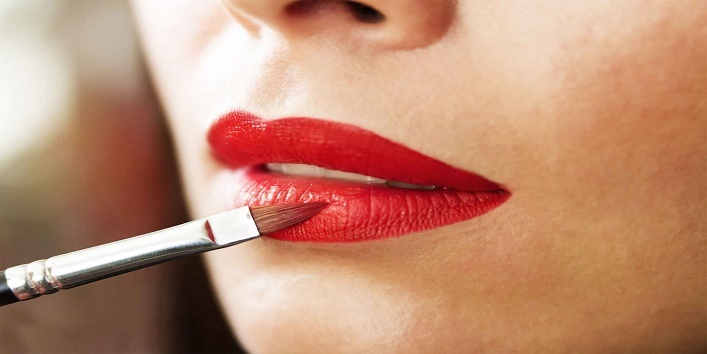 Applying lipstick using a lip brush helps in defining your lip ends and helps in a smooth application. Another tip which is really important. If you have chosen a dark lipstick, make sure that you balance out the makeup accordingly. Try to keep the liner and eyeshadow simple. Try to avoid darker and bold hues. 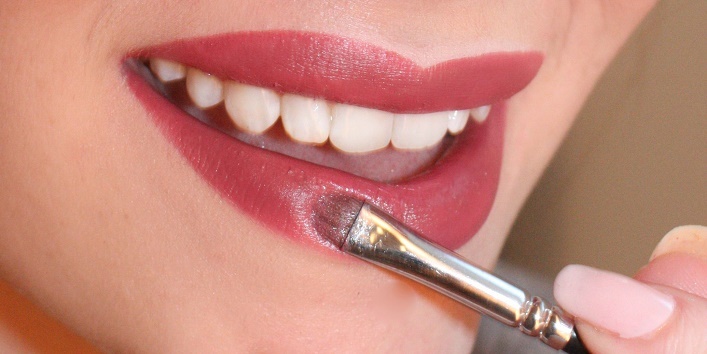 Using this simple tip will make your lips stand out. And the last thing that you need to keep in mind is to be careful while applying dark lipstick as there are chances it can become a total mess when it goes out of space or smudges. Here you can take help of a concealer. Just take a sponge and put some concealer on it and then outline your lips. This tip will ensure that your lipstick stays in place. So, these were the few tips to keep in mind while applying dark lipstick.